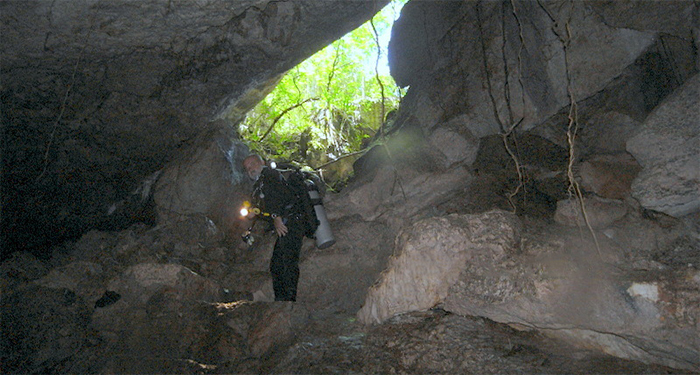 Cave diving in Dominican republic is well known and many cave divers say that the caves around Bayahibe are one of the best. 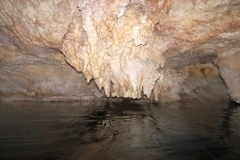 There is a whole system of freshwater caves, only 15 min from Bayahibe village. 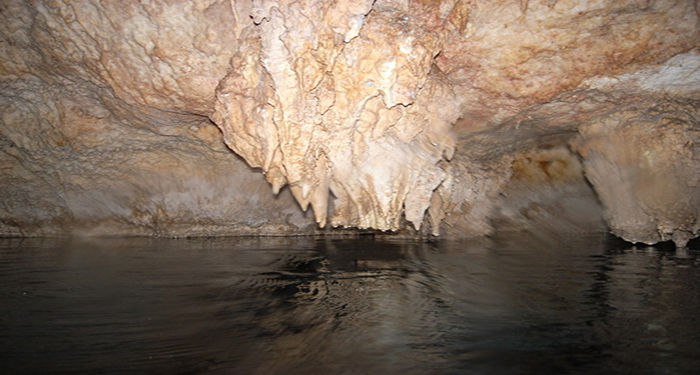 Some caves are easy accessible and even fun to go snorkeling to, some of them are only for serious cave divers and some of them still unexplored. 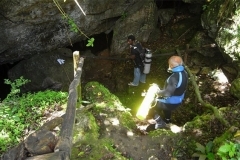 The visibility is amazing, limited only by the power of the dive light. 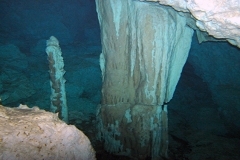 The water is so pure and clean, that resorts and hotels are using them as the water supply, of course you cannot dive in those. 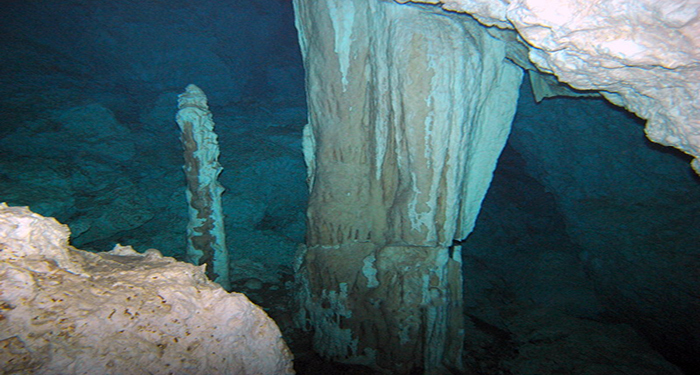 A massive underwater tunnel, naturally decorated by limestone stalagmites and stalactites. It takes you through to an underground dome where you can surface and breathe fresh air supplied by many narrow channels leading to the open space. 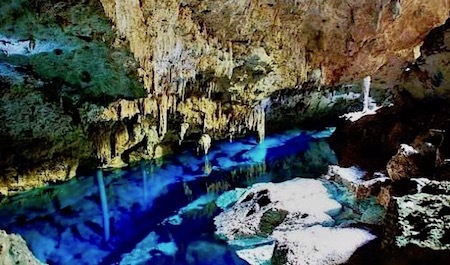 This natural beauty is just waiting to be discovered, it’s a brilliant introduction to the mystery and fascination of cave diving. 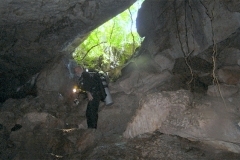 Don’t forget that these are “the real caves” only for certified cave divers. 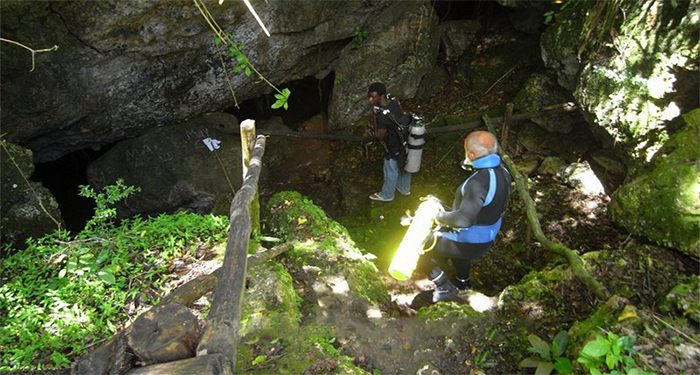 If you are not certified, you can take a Cavern, Cave Diver course or our brand new DISCOVER CAVE DIVING course to see the beauty yourself.